Today I am here with Tom Scala. Tom is a black belt under Tom DeBlass and he is a very nice guy. 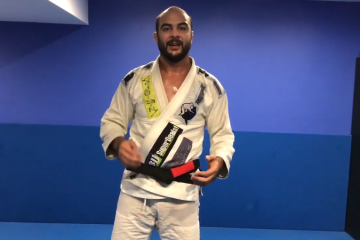 I am here at leverage bjj and he is very good at a position that I think is important to know. It is a side control escape when the opponent has changed their base and are playing a different type of side control. Let’s see below and then I will do some breakdown. So guys, as you can see this is a different type of side control when the opponent is one hip and he is favoring the leg control. 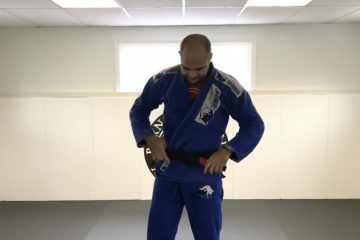 Sometimes people will play this side control to attack the back or the mount, sometimes you end up here while scrambling to defend a pass but either way this is a good escape. So as you can see the first thing he tries is the elbow escape but this does not work, once he fails here he is going to go for this get up attack by controlling the belt. He controls the belt and he is going to get up to his elbow and then his hand. Once he is able to get to his hand he will sneak his bottom leg out and he can start to attack the back. He can go for the twister hook that a lot of people play or he can just do a traditional back take. Really cool position worth knowing, oss!